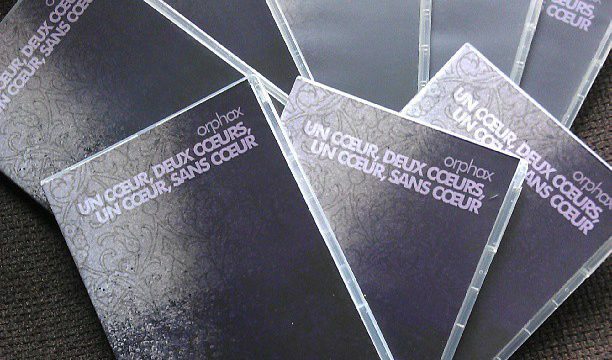 Today I got the first batch of Un Cœur, Deux Cœurs, Un Cœur, Sans Cœur DVD’s from Broken20. I have setup the Bandcamp shop in such a way that it is now also available from me in both DVD and Digital format. Go grab one while you can. 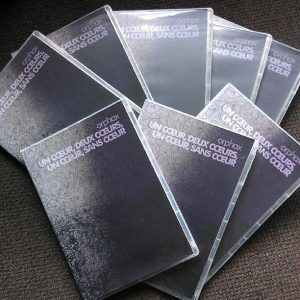 Ohh and first two orders get some extra free download codes from Broken20 releases. Forgot to mention, first two orders will come with some free download codes for other Broken20 orders. Rob Nanning liked this on Facebook. Marie Rose liked this on Facebook. Dank je, tof om te horen dat ie bevalt (en dat je toch ook gewoon orphax er in blijft horen).